Greenbaum Associates, Incorporated was selected by Archer Western Contractors Limited to perform quality control testing for the Infantry Brigade Combat Team (IBCT) 841 Man Barracks at Fort Knox, Kentucky. Archer Western Contractors is part of the Walsh Group, one of the largest contractors in the United States with 5.7 billion dollars of contracted construction in 2008. 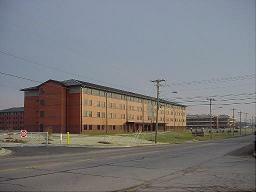 The 841 Man Barracks is a design/build project valued at 63 million dollars. The design was performed by Burgess and Niple of Cincinnati, Ohio. 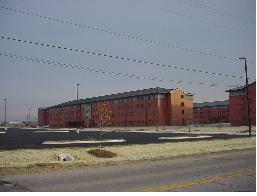 The need for this barracks was created by the 2005 base realignment that consolidated the Armor and Infantry Centers and Schools at Fort Benning, Georgia and relocated the 84th ARRTC to Fort Knox, therefore the need for this barracks. 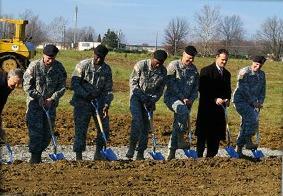 This realignment would directly support the Army’s operational unit stationing and training requirements by using available facilities, ranges, training land at Fort Knox, KY (vacated by the Armor Center and School) effectively and would efficiently relocate various Combat Support and Combat Service Support units returning from overseas, and as the installation platform for the activation of a new IBCT. Pictured below is one of the four barracks that make up this project. The barracks have 2 bedroom units that each share a kitchenette. 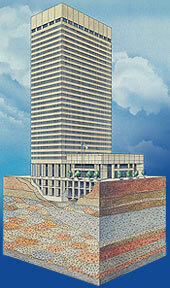 Greenbaum Associates carried out construction quality control including testing of earthwork, paving, concrete foundations and floor slabs, concrete masonry, structural and reinforcing steel, and even acted as Civil Quality Control Manager (CQCM) when Archer Western’s CQCM was transferred to another project. Copyright © 2004 | Greenbaum Associates, Inc.